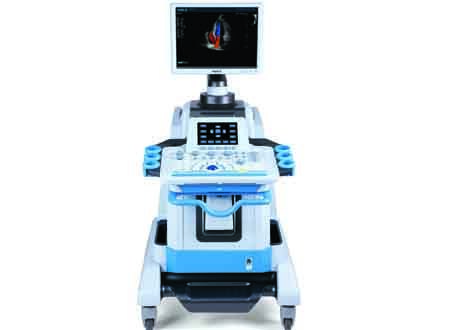 Anatomical M Mode; Color M Mode; CWD (Continuous Wave Doppler); TDI (Tissue Doppler Imaging); Built-in ECG; Stress Echo; Auto IMT (Intima-Media Thickness) Measurement; Panoramic Imaging. Supporting B+M/B+PW+CFM mode, B+Color M/B+PW+CFM mode, TDI/B+Color M mode, etc. 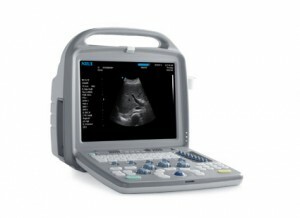 19”Multi-directional revolving high resolution medical LCD; Elevating and revolving operation console; Drawing keyboard and backlight; 8.4” touch screen for smart operation; 4 active probe connectors. The system both emits and receives a variety of frequency range, to guarantee both resolution in the near field and penetration in the far field. With 2 modes of SRT technology, the system is able to automatically track, identify and enhance useful tissue-characteristic information to reduce noise and artifacts, purify tissue shading and edging, improve contrast resolution and help early identification of tissue/structure lesion. The stress echo package, including physical and pharmacological stress, provides an effective way to observe how the cardiac muscle responds to stress, for diagnosis of coronary artery disease. The system automatically helps measure the Intima-Media Thickness of the carotid artery wall, so as to evaluate cardiovascular diseases such as hypertension diabetes. 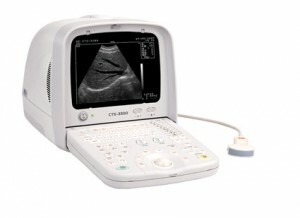 The panoramic imaging allows the doctors to get the wide view of large area tissue. copyright © 2013 SIUI America, Inc. All Rights Reserved.